For the most part, 144Hz monitors present good value for gamers who are into competitive multiplayer. However, unless you’re willing to dish out over $600 on a 144Hz monitor, you’ll have to deal with inferior visual quality in all the cheaper ones. Gaming monitors with 144Hz refresh rates have become all the rage during these past couple of years that they’ve been out. They are now very commonplace and actually tend to be quite affordable, but not everyone is sold on them. 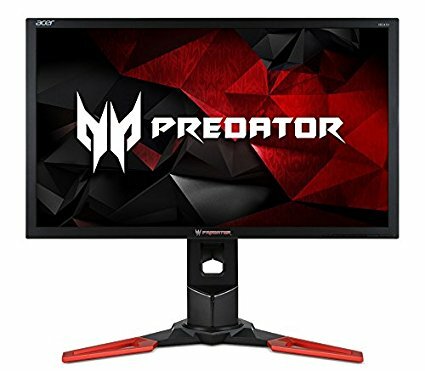 So, is a 144Hz monitor really worth it or is it just another passing gimmick? That’s the question we aim to answer in this article by going over the features that a 144Hz monitor brings to the table, as well as some potential shortcomings that might make you want to reconsider your choice. Let’s quickly go back to the basics and recap what a refresh rate actually is. Measured in Hertz (Hz), a refresh rate constitutes how many frames a monitor can display each second. That is, it determines the maximum in-game FPS that you can get. 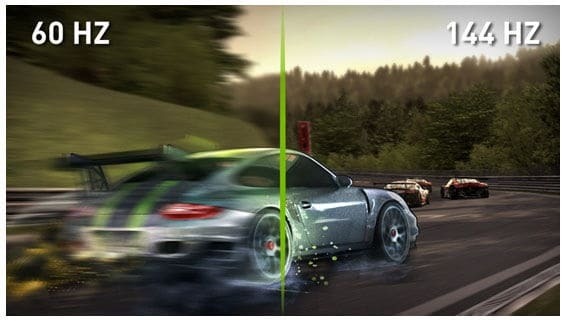 Of course, your GPU may render many more frames, but the number of frames displayed in real time is ultimately limited by the monitor’s refresh rate. Most modern monitors come with a standard 60Hz refresh rate, but 144Hz has become something of a new standard among PC gamers, and now we will see exactly why. 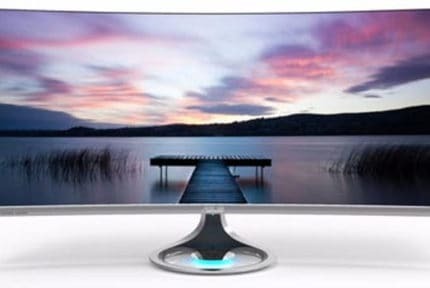 When talking about the advantages of monitors with higher refresh rates, we are essentially talking about the advantages of higher framerates as opposed to lower framerates. Obviously, the more frames are displayed each second, the smoother and more responsive the gameplay experience will be. Moreover, it means less motion blur, which is good news for those prone to motion sickness. But more importantly, the very reason why competitive gamers prefer such high refresh rates is that they can provide a competitive edge. Namely, more frames mean more data is being shown each second, which in turn can lead to slightly better reaction time. This may not seem all that relevant at first glance, but a split second really can make quite a difference in tense multiplayer scenarios. That pretty much answers the “60Hz vs 144Hz” question, as far as performance is concerned. However, in order to remain accessible in the lower price ranges, a 144Hz monitor usually has to make certain tradeoffs that might end up being deal-breakers for some gamers. First and foremost, there is the question of price. Indeed, there are 144Hz monitors out there that are more affordable, but that is for one particular reason: they all use TN panels or lower-quality VA panels. 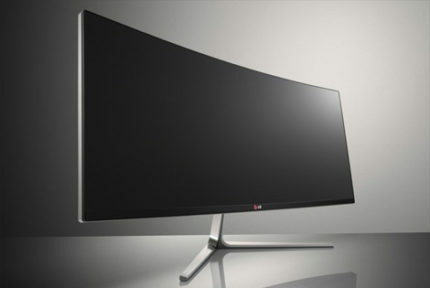 Granted, there are also IPS 144Hz monitors that offer better visuals, but those cost substantially more. Now, TN panels come with their own set of shortcomings. Their low price and unprecedented speed are what makes them so popular for application in 144Hz gaming monitors, but their biggest flaws are their poor color reproduction and limited viewing angles. Granted, the viewing angles aren’t that big of an issue since you’d always be facing your monitor directly at your desk, but the colors produced by TN panels tend to look quite washed-out. On the other hand, VA panels are on fairly even terms with IPS panels when it comes to colors, but they come with slightly higher pixel response times, something that can actually introduce some motion blur and make the monitor feel less responsive, if only ever so slightly. And then there’s the matter of framerates. A high refresh rate provides no advantage unless your GPU can push appropriately high framerates. Of course, this is fairly easy to achieve if we’re talking about eSports games like Counter-Strike: Global Offensive or Overwatch i.e. games that are not very demanding. However, unless you’re running a high-end graphics card (or multiple), GPU-hungry AAA games are unlikely to hit such high refresh rates without some settings being turned down. Conclusion – Is a 144Hz Monitor Worth It For Gaming? And now, we come back to the titular question – are 144Hz monitors worth it and do they present good value? Well, keeping all of the above in mind, it is a highly subjective question. Essentially, it comes down to which you prefer: visual quality or performance? Of course, if you’re really hell-bent on both, you can spend over $600 on an IPS 144Hz monitor, but not everyone is going to invest that much. As far as we’re concerned, we’d leave 144Hz monitors to those who mainly play multiplayer games and want every possible advantage that they can get. Meanwhile, a 60Hz monitor equipped with an IPS or a VA panel will offer better visuals at a similar price, not to mention potential HDR support. But, as always, preferences differ and you should pick whichever type of monitor you feel fits your needs and tastes better. If you’re shopping for one right now, here’s a list of the best gaming monitors currently available, performance and visuals-oriented ones alike!